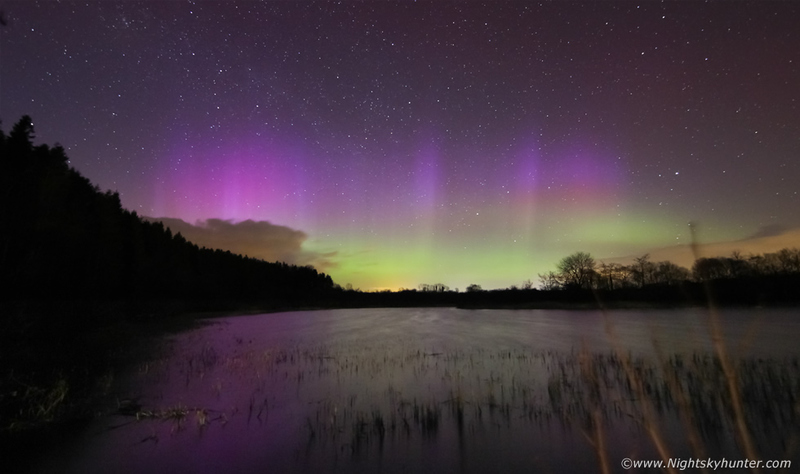 Beautiful G1 geomagnetic storm on April 7th 2016 captured from Killyleagh Lough near Tirkane outside Maghera generated by a heliospheric current sheet event. This aurora blocked out the stars, reflected upon the water and sported vibrant green colours and rays over 35 degrees high, read the report for more information. *All images are available for sale in the form of photo prints, canvas or digital files for licensing, if you are interested in a purchase simply drop me an email.